In the fall of 2013, Portland Bolt provided the fasteners required for the Wanich Covered Bridge Rehabilitation Project in Colombia County, Pennsylvania. 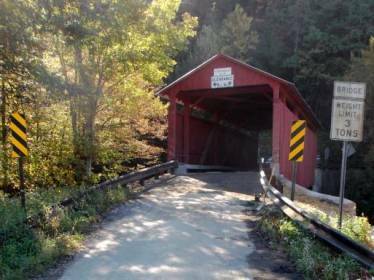 The historic covered bridge required the rehab due to a National Bridge Inspection Standards report which concluded the bridge was suffering from severe decay at the bearing areas. The inspection found the decay to be a critical deficiency in the structure and the County was notified to repair the bridge or risk the closure of the bridge in the near future. Portland Bolt was able to keep the project on track by shipping all of the hex bolt assemblies and split ring timber connectors the same day the order was placed. Portland Bolt’s extensive inventory of hex bolts and split rings allow us to be a great resource for fast paced timber construction jobs, especially covered bridge projects. The 80 ft. long covered bridge was built in 1884 and was added to the National Register of Historic Places on November 29, 1979. 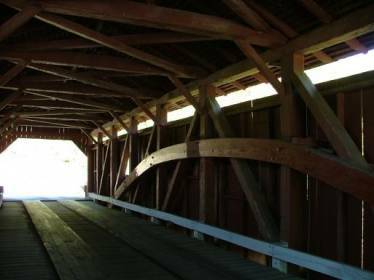 The bridge structure features a covered Burr arch-truss design and has a vertical clearance of only 9 ft. 6 in.